Camp Ramah scores with new Monterey location – J. Is summer really right around the corner? Though it certainly doesn’t feel like it, kids planning to return for year two at Camp Ramah Northern California are already talking to their friends about attending, coordinating their schedules, and eagerly anticipating more adventures on the beach, in the nearby mountains and elsewhere. The camp opened its doors in the summer of 2016, drawing more than 250 campers over the course of three two-week sessions. Its location in Watsonville, about a mile from the shores of Monterey Bay, provides ample opportunities for ocean activities and learning, plus it’s not far from the Santa Cruz Mountains. Camp directors are expecting about 300 attendees this year. Two of them will be Lisa Polston’s daughters, returning campers who are busy recruiting friends to go with them this year and urging them to experience the many things the camp has to offer, such as kayaking and horseback riding. “They talk all the time about going back,” said Polston, who lives in Oakland. Her daughters, one in eighth grade and the other in fourth, attend Hebrew school at Temple Beth Abraham in Oakland. The older daughter will stay at Camp Ramah for four weeks; the younger for two weeks. Ten sessions, including two for those with special needs, will run for different lengths from June 18 to July 31. 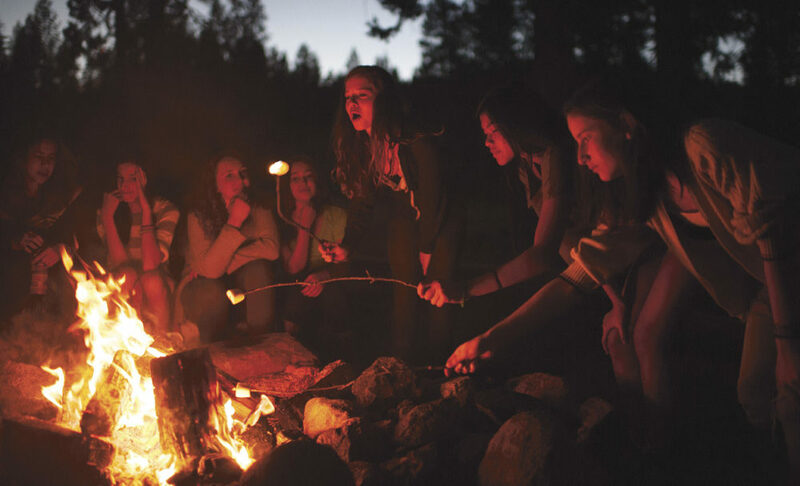 Camp Ramah is the camping arm of the Conservative movement. 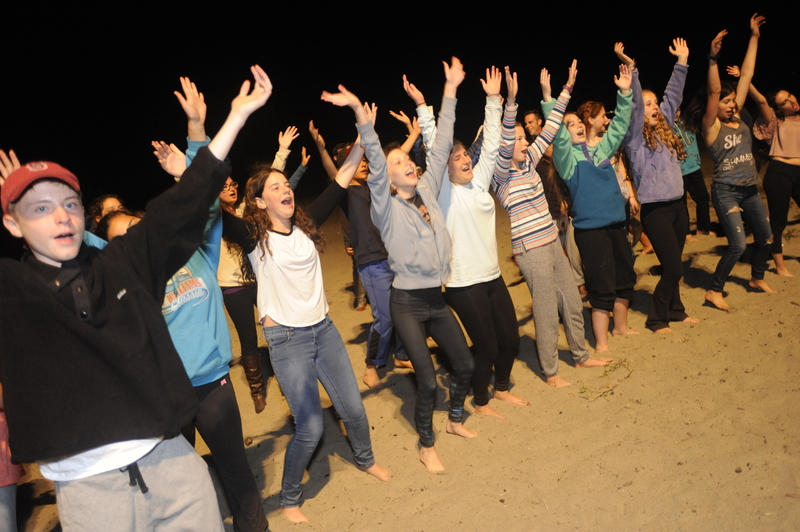 The opening of the Monterey Bay location last summer boosted the organization’s total to nine overnight camps and five day camps in North America and Jerusalem; next year, a specialty camp, Ramah Sports Academy, is scheduled to open in the Northeast U.S.
Polston said what makes Camp Ramah Northern California stand out among other Jewish camps is the three specialty tracks it offers. Campers can choose from an adventure sports track that includes rock climbing, mountain biking and tending the camp farm. Participants also gain wilderness skills on an overnight backcountry trip. The ocean exploration track offers kayaking, surfing, scuba diving and immersion in marine biology. Campers choosing the performing arts track can draw on inspiration from their natural environment and Jewish texts to craft their own play, dance, musical number or set design. Ari Eisen was the director of the adventure sports track and farm manager last summer. She said many of the campers went home and started their own gardens after having developed a yearning to grow their own food. That kind of inspiration, she said, is special and is what makes the camp experience so memorable. Camp Ramah Northern California is just the second Ramah camp in the state, and the first to open in 60 years. The other is located in the Southern California city of Ojai, and it’s been drawing kids from throughout the Western United States and Canada since opening in 1956. But now some of those kids are tapping into the camp near Monterey Bay, as well another new Camp Ramah in the Rocky Mountains, about a two-hour drive from Denver. 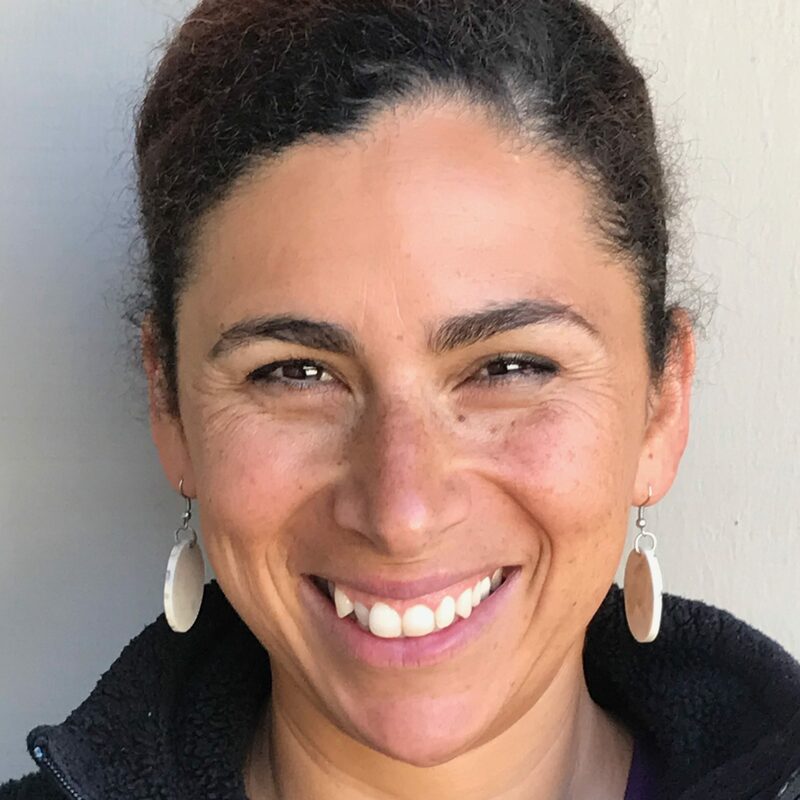 Rabbi Sarah Shulman, camp director for Northern California, said the specialty tracks model used at her camp and the Colorado location has been very successful for new camps, hitting on things that are attractive to active, modern Jewish families. 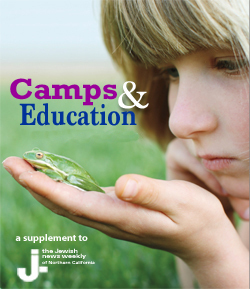 A specialty camp can draw a unique kind of camper who might otherwise not go to a Jewish camp. And the location — 15 miles south of the Santa Cruz wharf and 30 miles north of Monterey Fisherman’s Wharf — certainly doesn’t hurt. “There’s a little something for everyone,” added Shulman, who said the camp is already in expansion mode, adding more staff and more activities. Campers also get a healthy dose of Hebrew and Jewish traditions woven through their days, which Shulman said benefits the entire Jewish community. Polston grew up going to the Camp Arazim, a Conservative camp in Northern California (it no longer exists) and still keeps in touch with some of the people she became friends with there. 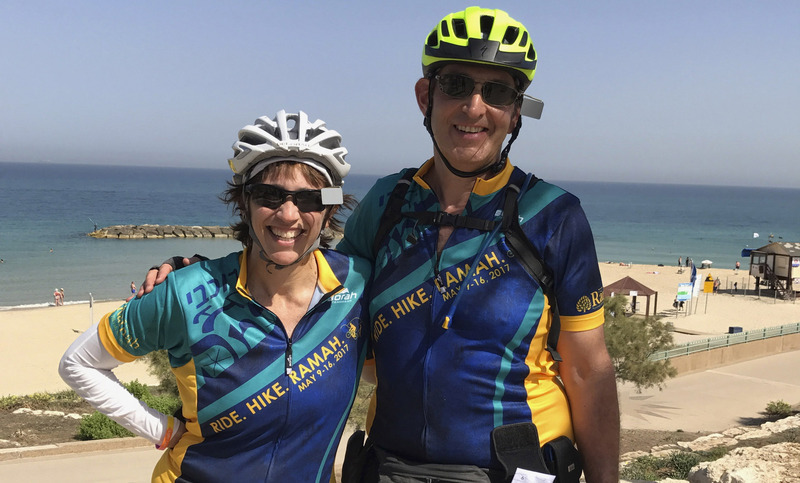 “My kids will learn more about being Jewish [at Ramah] than at any of the other camps they’ve been to,” she said, listing three other Jewish camps. Camp Ramah Northern California has information at www.ramahnorcal.org or call (415) 688-4572.